All praise and thanks are due to Allah, Who has guided us to this, for we would not have been guided except by His guidance. May the salutation and blessings of Allah shower on the last and best of His Prophets, Muhammad Mustafā (S) and the sinless members of his progeny (A). In the autumn of 2002, my family and I were blessed with the opportunity to come and pursue our studies in the city of Qum in Iran. I was immediately struck by the influence and effect that the presence of Lady Fatima Masuma (A) has on the inhabitants of the city. I tried to find out more about this holy personality and discovered that hardly any material is available about her in the English language; of course, there was material in Persian, which I had just started to learn. This book is the result of that noble lady’s blessing and love for all those who reside in her city. Alhamdulillah, it was completed on the birthday of her noble father, Imam Mūsā al-Kāđim (A). I would like first and foremost to thank Allah for giving me the opportunity to have spent 9 months in this holy city. I would next like to thank my children, Shaahid Hasan, Tahira Mahdiyya and Mujtaba Husain for their help in typing this book and their enthusiasm. And of course my husband, Abbas for his encouragement, criticism, editing and patience. I would also like to thank my tutor, Agha Mohammed Ali Shomali, for meticulously proof-reading the book and for his valuable suggestions and input. This book is dedicated for the pleasure and approval of Allah, and in honour of Lady Fatima Masuma (A) and her grandfather the Prophet of Allah (S) and the Pure Members of his household (A). May Allah accept this small token from all of us. In the book, some of the names of individuals and places, that may be less well-known, have been transliterated as a guide to pronunciation. Lady Fatima Masuma (A) was the daughter of the 7th Imam, Imam Mūsā al-Kāđim (A) and the sister of the 8th Imam, Imam Ali al-Ridā (A). She was a noble lady who dedicated her life to Islam and Allah. She was highly gifted and due to the training of her father and brother, she has achieved a high reputation in history for her knowledge and piety. She was only six years old when her father was arrested by Hārūn (the 6th Abbasid Caliph) and thereafter, she was brought up under the care of her brother, Imam al-Ridā (A) for twenty-one years. In the year 200 A.H, Ma’mūn (the 7th Abbasid Caliph) forced the Imam (A) to move from Madina to Khurāsān, in Iran. And so, Lady Fatima Masuma (A) was once more separated from her guardian. In the year 201 A.H, she decided to leave Madina and travel to Khurāsān to be at the side of her brother, intending to help him in his mission to preach Islam. But regrettably, she never reached him. The caravan that she was travelling with, was ambushed at Sāweh, where she had to witness the brutal killing of her close family members. As a result, she can be compared to Lady Zaynab (A), who suffered a similar plight in Karbalā. Lady Fatima Masuma (A) was taken ill at Sāweh. From here, the Shi`a of the nearby Qum brought her to their city, where she spent her last few days, before passing away during the month of Rabī` al-Thānī in 201 A.H.
1. `Allāmah Muhammad Bāqir Majlisī, Bihār al-Anwār, vol. 60, p. 228; Qādī Nūrullāh Shūshtarī, Majālis al-Mu’minīn, vol. 1, p. 83. 2. Mīrzā Muhammed Taqī Khān Sepehr, Nāsikh al-Tawārikh, vol. 3, p. 68; Shaykh Dhabīhullāh Mahallātī, Rayāhīn al-Sharī`ah, vol. 5, p. 35. 3. Bihār al-Anwār, vol. 102, p. 265. Although the separation from her father had been very difficult, Lady Fatima Masuma (A) still had her brother to comfort her. However, in 200 A.H, Ma’mūn (the 7th Abbasid Caliph), demanded Imam al-Ridha’s (A) presence in Khurāsān. The departure of her brother further increased her sorrow. This separation lasted for only about one year, but sadly she passed away before they could be reunited. When Amīn (the 6th Abbasid Caliph) was killed by the soldiers of his brother Ma’mūn, and Ma’mūn became the Caliph, his rule was initially very unstable. The kingdom was divided and Ma’mūn felt the need to gather support. So as to gain the support of the Shi`a, he insisted that Imam al-Ridā (A) come to Khurāsān. Here, he received the Imam (A) with great honour, pretending to respect his position, and even claiming to be his follower. The true test of his sincerity would have been to abdicate in favour of the Imam (A). Instead, he declared the Imam (A) his successor, never intending that that day should come. The Imam (A) was forced to accept this invitation and he went to Khurāsān, where his presence in the court of Ma’mūn served the interests of the Shi`a and Islam. The Imam (A) reached Khurāsān in 200 A.H, and he was poisoned to death by Ma’mūn in 203 A.H. According to the orders of Ma’mūn, the name of Imam al-Ridā (A) was mentioned in the khutbah (sermons) of the Friday prayers, in all the Islamic lands and coins with the name of the Imam (A) were minted. As a result of the intense desire of the Shi`a to be near the Imam, many of them decided to migrate to Khurāsān. Some were also misled by the apparent respect being accorded to the Imam (A) by Ma’mūn, and were unaware of his deceit and political ploys. After a difficult year of separation from her beloved brother, Lady Fatima Masuma (A) decided to go to him. She began this journey from Madina to Khurāsān, in the year 201 A.H, accompanied by a caravan made up of some members of her household and friends of the Imam (A). Some historians are of the opinion that Lady Fatima Masuma (A) undertook this long and hazardous journey just to be close to her brother, but this is unlikely to be the only reason. A more plausible reason for this journey is that she had a role to play at the side of the Imam (A). Her immense learning and piety would help him in the propagation of Islam, especially amongst the ladies. In this aspect her role would be similar to that of Lady Fatima Zahra (A) at the side of the Prophet (S) or that of Lady Zaynab (A) at the side of Imam Ali (A), Imam Hasan (A) and then at the side of Imam Husain (A) in Karbalā and in the aftermath of Karbalā at the side of Imam Ali Zayn al-`Ābidīn (A). There are many different narrations of the events leading to this journey of the family of the Imam (A) from Madina to Sāweh and the events that unfolded during this journey. According to one narration, the Imam (A) wrote a letter to his sister, Lady Fatima Masuma (A), which he sent to her with one of his servants, instructing him to hasten to Madina without stopping anywhere on the way. According to another tradition, the Imam (A) wrote a letter to all his family members, inviting them to come to Khurāsān. These caravans reached a town called Sāweh on their way to Khurāsān. Here they were attacked by enemies of the family of the Prophet (S). Many were martyred, including Hārūn, and many others were wounded or taken prisoner. A few managed to flee. A woman from the enemies put poison in the food of Lady Fatima Masuma (A) and she became ill.
Another narration states that Hārūn and the other members of Lady Fatima Masuma’s (A) family, totalling 23, were killed in an ambush by the people of the town of Sāweh, who at that time had great enmity towards the family of the Prophet (S). In the book Qīyām-e Sādāt-e `Alawī, it is mentioned that the ambush was actually carried out by the soldiers of Ma’mūn. This lie caused consternation in the camp and some people decided to return to Madina, while others wanted to press on. This might account for the mistaken notion that Lady Fatima Masuma (A) died as a result of being heartbroken at the news of the death of her beloved brother. In any case, a confusion ensued and the soldiers took the opportunity to attack the camp. During the assault, Lady Fatima Masuma (A) had to witness the brutal death of 23 close family members. “The more accurate narration is that, when it became known to the family of Sa`d Ash`arī, the leading Shi’a family in Qum at the time, that Lady Fatima Masuma (A) was in Sāweh and that she was ill, all of them went to Sāweh to invite her to come to Qum. It is believed that Lady Fatima Masuma (A) died on the 10th or the 12th of Rabī` al-Thānī and that she spent the last 16 or 17 days of her life in Qum, therefore we can estimate that she arrived in Qum around the 24th Rabī` al-Awwal, 201 A.H. The house of Mūsā ibn Khazraj ibn Sa`d Ash`arī, where Lady Fatima Masuma (A) lived for the few days that she was in Qum, has now become a school named “Madres-ye Sittīyeh”. [Sittiy means Lady – hence the name of the school is “School of the Lady”]. Till today, opposite the gates of this school and within its grounds, there remains the alter of worship (mihrāb `ibādat) of this noble lady, where she spent hours of the last days of her life worshiping Allah. It has been named “Bayt al-Nūr’ – “the House of Radiance”. The site is popular with pilgrims, who go there to pay their respects. 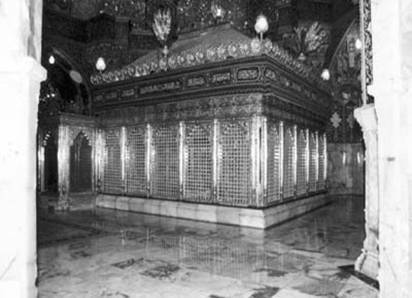 The place where Lady Fatima Masuma (A) is buried was known at the time of her burial as “Bābelān”. It was a deserted area with no buildings. It belonged to Mūsā ibn Khazraj, who donated it for the purpose of the burial of this noble lady. After the place of burial of Lady Fatima Masuma (A) was selected, the family members of Sa`d prepared her final resting place by digging a crypt in which to place the holy body. Once the Ritual Bath (ghusl) and the Shrouding (kafan) of the holy body had been completed, the family of Sa`d began discussing who would have the privilege of entering the crypt to lay the holy body into the ground. After much discussion, they finally agreed on a man by the name of Qadir, who was a pious and God-fearing old man from the family of the Prophet (S). At that moment, they saw two masked riders appear, from the direction of the desert. These two masked riders approached swiftly and dismounted at the burial site. They came forward and recited the prayer for the dead (salāt al-mayyit) for Lady Fatima Masuma (A). 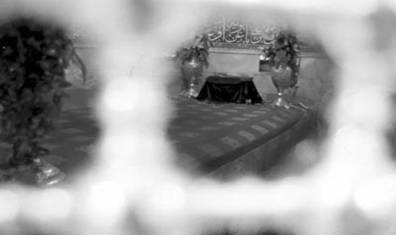 Then, one of them entered the crypt while the other passed the holy body of Lady Fatima Masuma (A) to him. In this way her burial took place. No one knows for certain who these masked men were, but those who were familiar with the character and behaviour of the Imams (A), were in no doubt that these two personalities were Imam al-Ridā (A) and his son Imam al-Taqī (A). They had come from Khurāsān and Madina respectively, by the miracle of being able to cross vast distances in an instant (tayy al-ard), to participate in the burial ceremonies of Lady Fatima Masuma (A). From the tradition above, it would not be unjustified to assume that the two masked riders who appeared from nowhere, to take part in the burial ceremonies of Lady Fatima Masuma (A) were, in fact, Imam al-Ridā (A) and Imam al-Taqī (A). 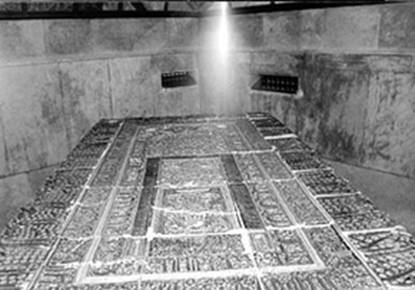 Some years after the burial of Lady Fatima Masuma (A), Umm Muhammad, daughter of Mūsā Mubarqa`, son of Imam al-Taqī (A), was buried near her grave. Some time later, Maymūnah, sister of Umm Muhammad died and was also buried near the grave of Lady Fatima Masuma (A). “At the time of Nāsir al-Dīn Shāh (d.1313 A.H), when the floor of the shrine of Lady Fatima Masuma (A) was being covered with marble, an opening was noticed in a part at the foot of the burial chamber (darīh) of this noble lady. It was decided that this opening would have to be repaired from within the crypt. 1. Muhammad bin Hasan Āmilī, Tārīkh-e Rāwīyān, narrating from Nasī al-Dīn al-Tūsī, p. 213. 2. Sayyid Dākhil bin Husain, Man Lā Yahduruh-u al-Khatīb, vol. 4, p. 261. 3. Sayyid Muhammad `Alī Rawdātī, Jām`i al-Ansāb, p. 17. 4. Bihār al-Ansāb, pp. 91 - 94. 5. `Alī Akbar Tashayyad, Qīyām-e Sādāt-e `Alawī, p. 160. 7. Ibid., pp. 160 & 168; Ja`far Murtadā `Āmilī, Al-Hayāt al-Sīyāsīyah Li al-Imām al-Ridā, p. 428. 8. Shaykh Mahdi Mansūrī, Hayāt al-Sitt, p. 160. 9. Qīyām-e Sādāt-e `Alawī, p. 169. 10. Qīyām-e Sādāt-e `Alawī, p. 166. 11. Bihār al-Anwār, vol. 60, p. 219. 12. Zindegi-ye Hadrat-e Mūsā ibn Ja`far, vol. 2, p. 384. 13. Ghanjīneh-ye Athār-e Qum, vol. 1, p. 382. 14. Bihār al-Anwār, vol. 60, p. 219. 15. Bihār al-Anwār, vol. 48, p. 290 and Tārīkh-e Qadīm-e Qum, p. 213. 16. Ibn Hamza , Al-Thāqib fī al-Manāqīb, p. 445. 17. Bihār al-Anwār, vol. 60, pp. 220 & 229. 18. Muntahā al-Āmāl, vol. 2, p. 162. 19. Mīrzā Mūsā Farāhānī, Iqāmat al-Burhān dar Usūl-e Dīn, p. 479. 20. Bihār al-Anwār, vol. 22, p. 550; Man Lā Yahduruh-u al-Faqīh, vol. 1, p. 121. 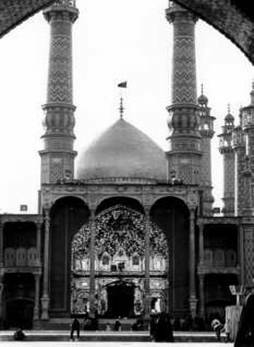 After the burial of Lady Fatima Masuma (A), Mūsā ibn Khazraj placed a ceiling made of wicker over the grave, which remained unchanged until Zaynab, daughter of Imam al-Taqī (A), came to Qum and had a dome built on the grave.1 The dome was built of bricks and mortar. This event occurred in the middle of the third Islamic century. 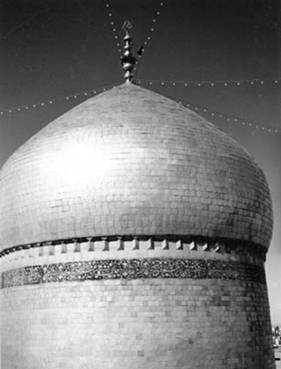 These three domes remained till the year 457 A.H, when the vizier of Tughrul the Great, Mīr Abū al-Fadl al-`Īrāqī, at the urging of the great scholar, Shaykh Tūsī (d.460 A.H) built one high dome in place of the three domes. 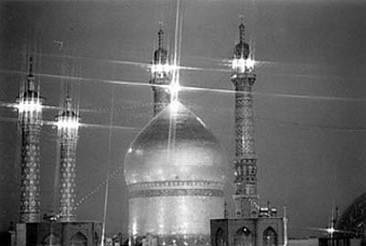 From the time of the replacement of the three domes by one, until the time of the reign of the Safavids,2 the condition of the shrine of Lady Fatima Masuma (A) remained somewhat the same. At this time there was no chamber above the grave, nor any porches or courtyards. In the year 925 A.H Shāh Ismā`īl I built a gold porch on the North side and laid the foundation of what is now called the old courtyard. After him, Shah Tahmāsb I, built a burial chamber, with glazed tiles, around the holy grave. He also built a porch on the South side of the grave (in the old courtyard). In the year 1077 A.H Shāh Safīy built a courtyard for women, in the south of the threshold of the grave, which is now the area surrounding the enclosed area of the Mosque of Tabātabā’ī. This courtyard is the burial place for Shāh `Abbās and Shāh Sulaymān and Shāh Sultān Husain. In the year 1218 A.H Fath Ali Shāh Qājār made a dome of gold using 12000 gold-covered bricks. In the year 1236 A.H, the mosque known as Masjid-e Bālā Sar [the mosque at the head of the holy body of Lady Fatima Masuma (A)], was built. In the year 1276 A.H, the porch of Shāh Ismā`īl Safavī was decorated with gold and in the year 1275 A.H the steel burial chamber of Shāh `Abbās was remade using silver. In the year 605 A.H, Amīr Ahmad ibn Ismā`īl commissioned the leading glass tile-maker and engraver of the time, Muhammad ibn Abī Tāhir Kāshīkār Qummī, to decorate the tomb of Lady Fatima Masuma (A). The work was completed in 8 years. In the year 950 A.H, Shāh Tahmāsb Safavī, erected a burial chamber made of bricks and decorated with tiles of seven colours, around the tomb. The chamber had a screen through which pilgrims could see the tomb and put in donations and petitions into the chamber. 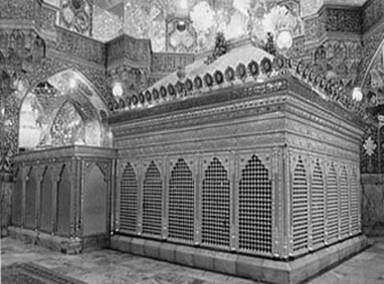 This new chamber remained for a long time over the tomb of Lady Fatima Masuma (A), being repaired as needed, until the year 1368 A.H. Then, by the order of the Custodian of the time, a newer burial chamber, with a different shape was erected in place of the former one. After over 40 years, due to the increase in the numbers of visitors to the holy shrine, and natural deterioration, the grills of the burial chamber became corroded. Additionally, the wooden interior of the chamber, which had been in place for over a hundred years, had become badly damaged. More importantly, the constant washing of the chamber with rose water had given it a red tinge, and cracks were found in its foundations. The considerable damage to the chamber necessitated a replacement. 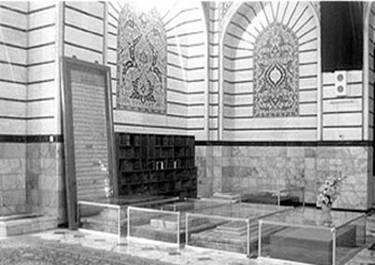 The custodian of the shrine, Ayatollah Mas`ūdī, made the decision in the year 1415 A.H to replace the burial chamber. For this purpose, the leading expert in the field, Āghā Husain Parwaresh Isfāhānī was commissioned to design a new chamber. He died before he could finish the work and it was completed by Āghā Muhammad Husain `Abbāspūr Isfāhānī. • the poems and verses that were inscribed on the upper part of the old chamber were collected and inscribed in gold lettering to go at the top of the new chamber. • the section between the top of the chamber and the area accessible to the pilgrims, which was formerly made of silver, was replaced with gold. • The upper chambers and grills which contained over 5000 spheres and tubes were all replaced and made thicker and sturdier. For this section alone, over 200 kilograms of pure silver was used. • The old wooden foundations, which are not visible, were also replaced with better and more hardwearing wood. More recently, a new mosque (Masjid-e A`đam), which was built by the great Marja’, Grand Ayatollah Sayyid Husain Burūjirdī, was annexed to the Haram. Its dimensions alone exceed 25,000 square meters. His tomb is situated at the entrance of the mosque that he built. • Grand Ayatollah Shaykh `Abd al-Karīm Hā’irī. • Grand Ayatollah Sayyid Muhammad Taqī Khānsārī. This work commenced at the beginning of the Iranian New Year two years ago and is presently continuing apace. It is aimed to complete the task in the year 1426 A.H, (2005 C.E), Inshā Allah. Continuous progress reports are published in the monthly newspaper of the Haram, Payām-e Āstān. روى الزّمخشري في تفسيره الموسوم بالكشّاف والثّعلبي في تفسيره الموسوم بكشف البيان، عن رسول الله (ص) قال: ألا ومن مات على حبّ آل محمّد مات شهيداً، ألا ومن مات على حبّ آل محمّد مات مغفوراً، ألا ومن مات على حبّ آل محمّد مات مؤمناً متكمّلاً، ألا ومن مات على حبّ محمّد وآل محمّد بشّره ملك الموت ونكير ومنكر بالجنّة، ألا من مات على حبّ محمّد وآل محمّد زفّ الى الجنّة، ألا من مات على حبّ محمّد وآل محمّد فتح الله له فى قبره بابين الى الجنّة، ألا ومن مات على حبّ محمّد وآل محمّد جعل الله قبره مزار ملائكة الرّحمة، ألا ومن مات على بغض محمّد وآل محمّد جاء يوم القيامة مكتوب بين عينيه آيس من رحمة الله، ألا ومن مات على بغض آل محمّد مات كافراً، ألا ومن مات على بغض آل محمّد لم يشمّ رائحة الجنّة. • Other verses from the Qur’an. A man by the name of Mīrzā Asadullāh, who was a guard at the shrine of Lady Fatima Masuma (A), developed gangrene in one foot. It had become so bad that the doctors advised amputation of the foot to halt the progress of the disease. 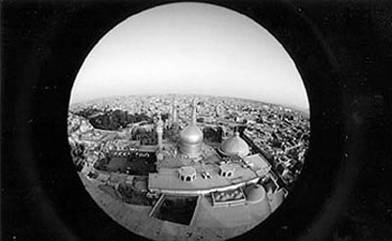 The night before the scheduled amputation, Mīrzā Asadullāh decided to go to the shrine of Lady Fatima Masuma (A) and pray for a miracle. He prayed earnestly in the shrine late into the night, until the shrine was shut. He remained inside weeping and beseeching the noble lady for assistance. Sadr al-Dīn Muhamad ibn Ibrāhīm Shīrāzī, well known as Mullā Sadrā or Sadr al-Muta’allihīn, was a great scholar of philosophy during the time of the Safavids. After the death of his father, Mullā Sadrā moved to a village called “Kahak” (near Qum), where he spent a lot of his time in deep thought and contemplation. Mullā Sadrā would continuously go to Makka for pilgrimage and it was on his return from the seventh of these journeys that he died in Basra, in the year 1050 A.H.
His works include: Al-Hikmat al-Muta‘ālīyat fī al-Asfār al-‘Aqlīyah al-Arbi‘at (The Transcendent Wisdom Concerning the Four Intellectual Journeys), Kitāb al-Mashā‘ir (The Book of Metaphysical Penetrations) and Al-Hikmat al-‘Arshīyat (The Wisdom of the Throne). The late Grand Ayatollah Sayyid Shahāb al-Dīn Mar`ashī Najafī narrates, “When I was young, I faced some difficult times, the most difficult of which was when I wanted to get my daughter married and did not have the money or possessions for her trousseau. After pleading in this manner, I returned home. I dozed off and in my dream I heard someone knocking at my door. I opened it, there stood a person who said: ‘The lady is seeking you.’ I quickly went to the shrine. When I entered the courtyard, I saw a number of ladies cleaning the golden porch. I asked them why they were cleaning so thoroughly, they replied that the lady was coming soon. After a little time, Lady Fatima Masuma (A) appeared. Her appearance and manner, was just like my grandmother, Lady Fatima Zahra (A), whom I had previously seen in my dreams three times. This is a mention of only a few of the miracles as there is not enough space in this book to mention more. However, probably, the greatest of all the miracles of this noble lady is her influence on this city of Qum which has become what it is, due to her presence, guidance, inspiration and blessing. 1. Bihār al-Anwār, vol. 60, p. 219. 2. The family of the Safavids reigned in Iran for 230 years, from 905AH until 1135AH. The rulers were: Shāh Ismā`īl I, Shāh Tahmasb I, Shāh Ismā`īl II, Shāh `Abbās I, Shāh afīy, Shāh `Abbās II, Shāh Sulaymān, Shāh Sultān Husain, Shāh Tahmāsb II, Shāh Ismā`īl III and Shāh `Abbās III. 3. 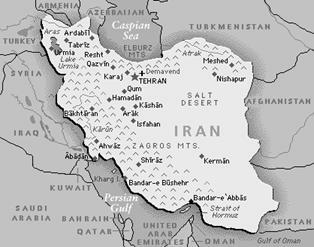 The reign of the Qājārs in Iran was from 1200 A.H until 1339 A.H. The rulers were: Āqā Muhammad Khān, Fath Ali Shāh, Muhammad Shāh, Nāsir al- Dīn Shāh, Muzaffar al-Dīn Shāh, Muhammad Ali Shāh and Ahmad Shāh. 4. Ganjīne-ye Athār-e Qum, p. 10. 5. Cited from the monthly newspaper of the holy shrine in Qum, Payām-e Āstān, 23/09/1379 Hejrī Shamsī, p. 4. 6. Bihār al-Anwār, vol. 100, p. 121. 7. Cited from, Hadrat-e Ma`sūma – Fātima-ye Duvvum, pp. 227 & 228. 8. Anwār al-Masha`sha`īn, vol. 1, p. 216. 9. Shaykh `Abbās Qummī , Fawā’id al-Radawīyah, p. 379. 10. Ghanjīne-ye Dānishmandān, vol. 1, p. 39. 11. `Alī Rafī`ī, Shahāb-e Sharī`at (Biography of Ayatollah Mar`ashī Najafī), p. 288. Qum is the smallest province in Iran. It was previously a district belonging to the state of Arāk, then it was attached to Tehran until it was finally certified as an independent province. The province has an area of approximately 12,000 square kilometres. It is bounded by Tehran and Sāweh to the north, Delījān and Kāshān to the south, and the Salt Lake and Tafresh to the east. The province includes one city, four regions, nine rural districts and 256 villages. Since it adjoins the central desert, Qum has a semi-desert climate. In 1947 C.E, its population was no more than 150,000 but by the time of the Islamic Revolution in 1979 CE, the population of Qum had reached about 400,000. After the revolution, the city underwent rapid growth and its current population approaches 1,000,000, a large number of whom are religious students coming from all over the world to study in this great centre of Islamic Learning, under the holy patronage and in the blessed presence of Lady Fatima Masuma (A). • an agricultural city, producing wheat, cotton, pomegranate, fig, pistachio and melon. • an industrial city, manufacturing carpets, pottery, plastic products and building materials. • a commercial city, due to its location at the crossroads that connects northern Iran to its south, and the vast number of pilgrims. A slight disadvantage of Qum’s location is that its main water supply is through the salty rivers that come from the mountains around it. In the year 83 A.H, a large number of Arabs belonging to the Ash`arī tribe of Yemen, migrated and settled in this region and repopulated the city. 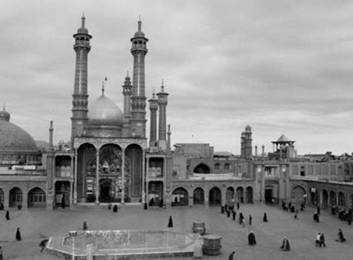 From the beginning of its Islamic history, the city of Qum became the centre of the Shi`a in the area, and by the end of the first Islamic century, more than 6000 Shi`a had settled in the city. The Shi`a of this city revolted against the Umayyad caliphs and after the inception of the Abbasid caliphate in 132 A.H, they also remained at odds with the Abbasid caliphs. In the year 201 A.H, Lady Fatima Masuma (A) came to the city, and after a brief illness, she died and was buried there. Her sacred grave became a pilgrimage site for the Shi`a, and the city of Qum was thereafter popularly called “Qum-e Muqaddas” (the Holy Qum). 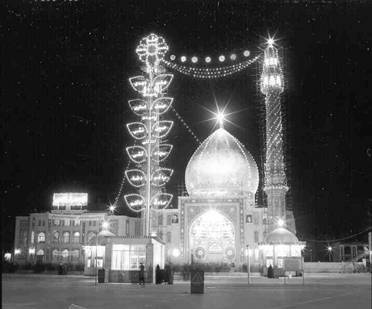 Over the centuries, Qum emerged as a Shi`a learning centre. The Islamic Seminaries (al-Hawzah al-`Ilmīyah) in Qum became particularly popular after the Islamic Revolution in Iran and also due to the decline of the seminaries in Najaf, following the persecution of the hostile regime in Iraq. The museum, which is called “the Āstāne Museum”, is attached to the Madrasah Faydīyah, abutting the new courtyard. It contains the gifts and bequests that have made to Lady Fatima Masuma (A) over the years by various well-wishers. Prior to the establishment of the museum in 1314 A.H./1925 C.E, the endowed treasures of the sanctuary which are now on display were stored in what was termed "the treasury". The treasury was deemed necessary by the custodians of the sanctuary after a spate of thefts at the end of the Safavid period. In 1992 C.E, as a result of the extra acquisitions of the museum, the basement level of the building was refashioned and annexed to the museum. The result was a museum complex, including administrative rooms, display areas and restoration facilities in some 1000 square metres. The displays are on two floors and include costly carpets, coinage, artwork and rare manuscripts of the Holy Qur’an. This mosque was built in 293 A.H, during the Minor Occultation (al-Ghaybat al-Sughrā) of Imam Mahdī (A), and according to his recommendation. The mosque is situated six kilometres to the south-east of Qum, and draws large crowds of pilgrims, especially on Tuesday nights. According to many reports, this is the night on which the Imam (A) visits this mosque. This is a large mosque situated near Safā’īyeh Square in Qum and is the location for the weekly Friday prayers. Presently, the three Imams of Friday prayers are, Ayatollah Ali Meshkīnī, Ayatollah Ibrāhīm Amīnī and Ayatollah Jawādī Āmulī. The huge silver-coloured dome of this beautiful mosque, which is currently under construction, is a familiar landmark in Qum. Some of these graves are within the holy shrine of Lady Fatima Masuma (A). They are situated at different locations in the shrine, some with small domes of their own. These days, the chambers in which their graves are situated also serve as administrative offices for the various departments in charge of the shrine. • Mūsā Mubarqa`, son of Imam Taqī (A) is buried in Āzar Square, where there is also a large burial site called “Chehel Akhtarān” which was reserved as a burial area for the descendants of the Prophet (S). • Imāmzādeh Ahmad, the grandson of Imam al-Sādiq (A), is buried at “Darvāzeh Qal`eh” in the southern side of Qum. 1. Fath al-Buldān, Balādharī, p. 384; Tārīkh-e Qadīm-e Qum, pp. 25 & 26. 3. Farhat al-Qārī, Sayyid ibn Tāwūs, p. 105. 4. See hadith no. 5 below, under traditions about the virtues of Qum. 5. Farhat al-Qārī, p. 105. 6. A`yān al-Shī`a, vol. 2, p. 478. 7. Tārīkh-e Madhhabī-ye Qum, p. 131. 8. For details on how the mosque came to be constructed, see Bihār al-Anwār, vol. 3, p. 175. 9. Bar Setīgh-e Nūr, The life of Grand Ayatollah Shahāb al-Dīn Mar`ashī Najafī, p. 94. 10. Hadrat-e Ma`sūma – Fātima-ye Duvvum, p. 272. 11. Bihār al-Anwār, vol. 102, p. 272. 12. Ibid., vol. 60, p. 216; Tārīkh-e Qadīm-e Qum, p. 100. 13. Bihār al-Anwār, vol. 18, p. 407; Shaykh adūq, `Ilal al-Sharā-`i, p. 572. 14. Bihār al-Anwār, vol. 60, p. 214; Tārīkh-e Qadīm-e Qum, p. 98. 15. Bihār al-Anwār, vol. 60, p. 216; Tārīkh-e Qadīm-e Qum, p. 100. 16. Bihār al-Anwār, vol. 60, p. 213; Tārīkh-e Qadīm-e Qum, p. 95. Therefore, it follows that that same purity is obtained from performing the pilgrimage of Lady Fatima Masuma (A). From the foregoing traditions we can see the immense reward, narrated from three Imams (A), of performing the pilgrimage of this noble lady. An interesting point is that, in tradition no. 5 above, Imam al-Ridā (A) has made the reward of performing the pilgrimage of Lady Fatima Masuma (A) equal to that of performing pilgrimage at his own grave. Before going to the shrine, purify yourself by performing the ritual bath (ghusl). Then with clean, perfumed clothes go to the shrine. Before entering the hall of the burial chamber, one must recite the short request of permission to enter (idhn-e dukhūl). Allhamdu Lillāh (الحمد لله - All praise is for Allah) 33 times. On first seeing the tomb, recite the Salawāt, then recite the Ziyārat facing her shrine, with full concentration and awareness of the meaning of the words you are saying and of the personality you are addressing. After completing the Ziyārat, recite two units of prayer (salāt), which is recommended after every Ziyārat. This prayer demonstrates the fact that while we revere the personalities that we have addressed in the Ziyārat, it is only Allah Whom we worship. All prostrations are for Allah only, and prostration for anyone else is forbidden. “[O Ahl al-Bayt!] I seek nearness to Allah through my love for you. 1. Bihār al-Anwār, vol. 48, p. 317; vol. 60, p. 216 & vol. 102, p. 266. 2. Ibid., vol. 60, p. 219. 3. `Uyūn Akhbār al-Ridā, vol. 2, p. 267. 4. Bihār al-Anwār, vol. 48, p. 317. 5. Nāsikh al-Tawārīkh, vol. 3, p. 68; Rayāhīn al-Sharī`a, vol. 5, p. 35. 6. `Uyūn Akhbār al-Ridāa, vol. 2, p. 260. 7. Anwār al-Masha`sha`īn, vol. 1, p. 212. 8. Mullā Haydar Khwānsārī, Zubdat al-Tasānīf, vol. 6, p. 159. 9. Bihār al-Anwār, vol. 102, p. 265. 10. `Uyūn Akhbār al-Ridā, vol. 2, p. 262. Peace be on Adam, the Selected one of Allah. Peace be on Nūh, the Prophet of Allah. Peace be on Ibrāhīm, the Friend of Allah. Peace be on Mūsā, who was Spoken with by Allah. Peace be on `sā, the Spirit of Allah. Peace be on you, O Messenger of Allah. Peace be on you, O Best of Allah’s creatures. Peace be on you, O Selected one of Allah. Peace be on you, O Muhammad son of `Abdullāh, the Seal of the Prophets. Peace be on you, O Commander of the Faithful, Ali son of Abū Tālib, and the Successor of the Messenger of Allah. Peace be on you, O Fatima, the leader of the women of the worlds. Peace be on you, O the two grandsons of the Prophet of mercy, and the masters of the youth of Heaven. Peace be on you, O Ali son of Husain, the leader of worshippers, O tranquillity for those who gaze at you. O revealer of knowledge after the Prophet. the truthful, the righteous, the trusted. the pure, the benevolent, the trusted. Peace be on Hasan son of Ali. Peace be on the successor after him. O Allah, Bless Your light and torch, the heir of your vicegerent, the successor of Your appointed successor and guide for mankind. the Commander of the Faithful! His mercy and blessings on you! And quench our thirst out of your grandfather’s own cup, in the hand of Ali. May Allah bless you all! And to brings us and you into the group of your grandfather, Muhammad. May Allah bless you all! And not to deprive us from understanding your status. Truly, He is the Guardian and is All-powerful. And I accept with unshaken faith what was brought by Muhammad, and am content with that. We seek Your providence by this, O my Master! And Your pleasure in the next world, O my Lord! for indeed you have a great status in the eyes of Allah! and not to take away what I have [out of Your favour] at present. There is no might or power save that of Allah, the Exalted, the Great. So by Your Generosity, Honour, Mercy and Bounteousness, accept our supplication. And may the blessings of Allah shower on Muhammad and all his household and give them abundance and peace. O the most Merciful of the merciful! • `Āmilī, Ja`far Murtadā; Al-Hayāt al-Sīyāsīyah Li al-Imām al-Ridā, Qum 1416 A.H.
• `Āmilī, Muhammad ibn Hasan; Tārīkh Rawayān, Tehran 1313 (Sh). • `Āmilī, Shaykh Hurr;. Ithbāt al-Hudāt, Qum 1399 A.H.
• ------------------------ Risālat al-`Arabīyah al-‘Alawiyyah, Beirut. • Amīn, Sayyid Hasan; Dā’irat al-Ma`ārif al-Shī`īyah, Beirut 1393 A.H.
• Amīn, Sayyid Muhsin, A`yān al-Shī`ah, Beirut. • Amīnī, `Allāmah Shaykh `Abd al-Husain; al-Ghadīr, Tehran. • Balādharī, Fath al-Buldān, Beirut. • Dāghistānī, Muhammad bin Ahmad; Al-Lu’lu’at al-Thamīnat fī al-Athār al-Mu`an`anat al-Marwīyah, Egypt 1306 A.H.
• Al-Dīn, Shaykh Muhammad Hirz; Marāqid al-Ma`ārif, Najaf. • Fayd,`Abbās; Ganjīneh-ye Āthār-e-Qum; Qum 1349 (Sh). • Farāhānī, Mīrzā Mūsā; Iqāmat al-Burhān dar Usūl-e Dīn, Tehran. • Hakīmī, Muhammad Ridā; A`yān al-Nisā, Beirut 1403 A.H.
• Husain, Sayyid Dākhil; Man Lā Yahduruh-u al-Khatīb, Beirut 1412 A.H.
• Ibn Hamza, Al-Thāqib fī al-Manāqīb, Qum 1412 A.H.
• Ibn Jawzī, Sibt; Tadhkirat al-Khawāss, Najaf 1383 A.H.
• Ibn Tāwūs, Sayyid; Farhat al-Qāarī, Beirut. • Ishtihārdī, Muhammad; Hadrat-e Ma`sūma – Fātima-ye Duvvum, Qum. • Katūziyān, Shaykh Muhammad bin Husain; Anwār al-Masha`sha`īn, Tehran. • Khwānsārī, Mullā Haydar; Zubdat al-Tasānīf, Qum 1415 A.H.
• Al-Kulaynī, Muhammad ibn Ya`qūb; Furū` al-Kāfī, Beirut. • --------------------------------------------- Usūl al-Kāfī, Beirut. • Mahdīpūr, `Alī Akbar; Zindagāni-ye Karimah-ye Ahl al-Bayt, 1st Edition, Qum. • Majlisī, `Allāmah Muhammad Bāqir; Bihār al-Anwār, Tehran 110 Volume Edition. • Mansūrī, Sayyid Mahdi; Hayāt al-Sitt, Qum 1380 A.H.
• -----------------------------Zindagāni-ye Hadrat-e Ma`sūma, Qum. • Mas`ūdī, `Alī bin Husain; Ithbāt al-Wasīyah, Qum. • Mufīd, Shaykh; Al-Irshād, Muhammadi Trust, England. • Muhallātī, Shaykh Dhabīhullāh; Rayāhīn al-Sharī`ah, Tehran. • Namāzī, Shaykh `Alī; Mustadrak Safīnat al-Bihār, Tehran. • Nishābūrī, Ibn Fattāl; Rawdat al-Wā`iđīn, Tehran 1303 A.H.
• Qummī, Shaykh `Abbās; Fawā`id al-Radawīyah, Tehran 1367 A.H.
• ----------------------------- Muntahā al-Āmāl, Tehran 1379 A.H.
• Rafī`ī, `Alī; Shahāb-e Sharī`at, (Biography of Ayatollah Najafī Mar`ashī), Qum 1420 A.H.
• Rawdātī, Sayyid Muhammad `Alī; Jām`i al-Ansāb, Isfahān 1376 A.H.
• Rāzī, Muhammad Sharīf; Ganjīneh-ye Dānishmandān, Tehran 1352 (Sh). • Al-Rida, Imam Ali; Sahīfat al-Rida, San`ā’a 1353 A.H.
• Sadūq, Shaykh; `Ilal al-Sharā-`i, Najaf 1385 A.H.
• -------------------- Ma`ānī al-Akhbār, Qum 1361 (Sh). • ------------------- Man Lā Yahduruh-u al-Faqīh, Beirut 1405 A.H.
• ------------------- `Uyūn Akhbār al-Ridā, Najaf 1390 A.H.
• Sepehr, Mīrzā Muhammed Taqī Khān; Nāsikh al-Tawārīkh, Imām al-Kāđim (A) Edition, Tehran. • Shūshtarī, Qādī Nūrullāh; Majālis al-Mu’minīn, Tehran. • Tabrīzī, Mīr Abū Tālib; Wasīlah al-Ma`sumīn, Tehran. • Tabarsī, Shaykh; I`lām al-Warā, Qum 1399 A.H.
• Tashayyad, `Alī Akbar; Qiyām-e Sādāt-e `Alawī, Tehran 1331 (Sh). • Tūsī, Shaykh Abu Ja`far; Al-Amālī, Beirut. • ---------------------------- Tahdhīb al-Ahkām, Beirut 1406 A.H.
• Tustarī, Muhammad Taqī; Tawārīkh al-Nabī wa al-Āl, Tehran 1391A.H.